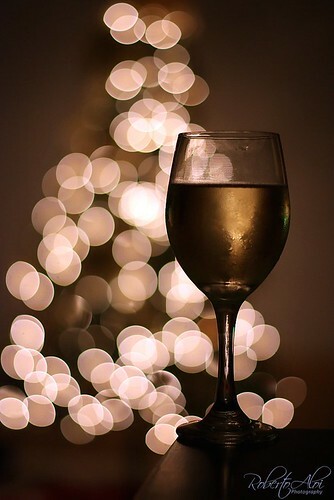 A Prosecco Christmas, originally uploaded by madcalabrian. Ines and I enjoyed a few glasses of prosecco frizzante coupled with spinach stuffed Brie and toasted flatbread. This was my view while having my drink with our Christmas tree in the background. 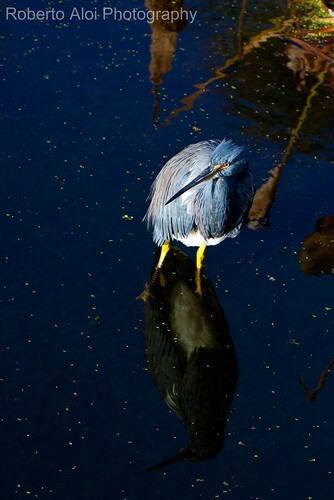 Tricolored Heron, originally uploaded by madcalabrian. This heron was photographer at Green Cay on 12.26.10. I enjoy the mirror like quality of the water and the tiny bits of duckweed on the surface of the water. These birds, even though in abundance, always seem to pose for the camera and are interesting to watch. Green Cay handheld HDR – 12.26.10, originally uploaded by madcalabrian. 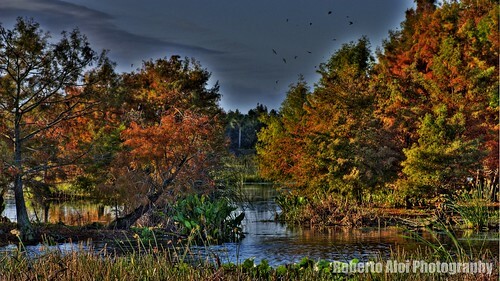 I went to Green Cay with my good friend Jim a few days ago. The lighting was awful most of the morning due to heavy, dark, persistent cloud cover. For several minutes the lighting was amazing while at Green Cay and I quickly took advantage of it! Lady Gaga Portrait, originally uploaded by madcalabrian. 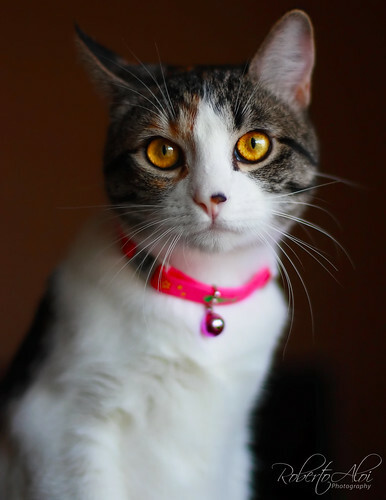 Princess already received her own portrait treatment so I thought a portrait of “Lady Gaga” was in order. This is the end result. This was shot with natural light from the window wide open. Princess, originally uploaded by madcalabrian. 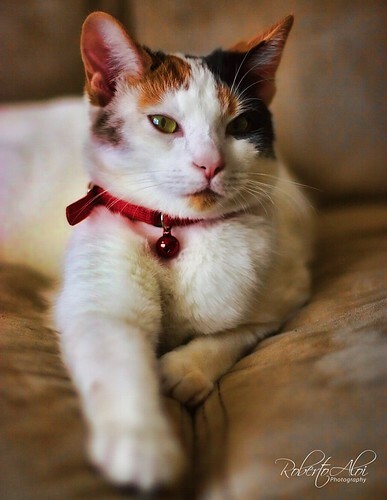 Decided to shoot some pictures of Princess recently and thought I would give her a little treatment. She is always moving around and is much harder to shoot then her sister and I finally took advantage of a lazy moment… My goal was to make her photo look more like a portrait that would normally showcase a person rather than an animal. 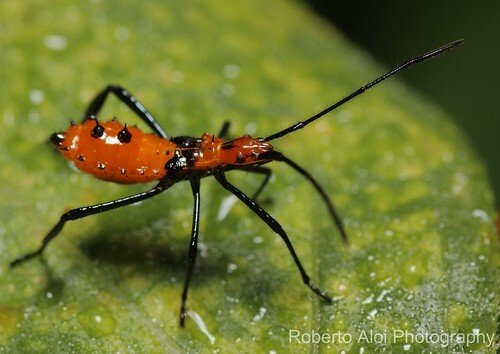 Leaf-footed Bug Nymph, originally uploaded by madcalabrian. These tiny bugs are a lot of fun to photograph. They get themselves in positions that look like they are posing for the camera. I don’t know if they are just as curious as I am and simply starring back to investigate or if it’s defensive in nature. Immature True Bugs are called “nymphs” because they experience incomplete metamorphosis. This means that they don’t become pupae: one molt changes a nymph into an adult. However, nymphs go through a lot of very different stages called instars before they become adults. This is where True Bug identification is most challenging. 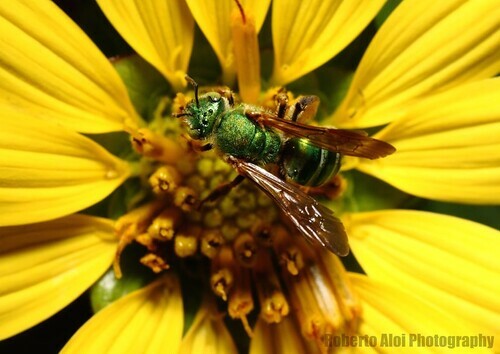 Metallic Green Halictid Bee, originally uploaded by madcalabrian. There are some 500 species of Halictidae in North America. Many are easily recognizable due to their beautiful, iridescent green or golden colors, making them favorites of many insect photography hobbyists. 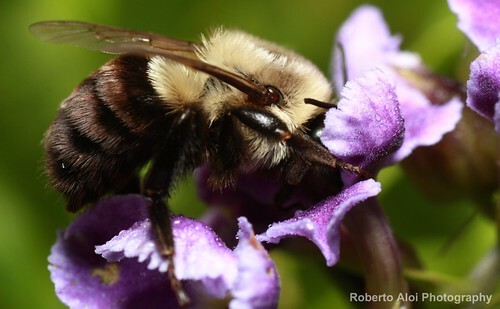 Most are pollen feeders and important pollinators, especially in light of the worldwide decline of the domestic honeybee.